This 54 pages novella has a very nice story premise, but at times reminded me of I am Legend and World War Z. I guess it’s hard to write a zombie flick that is new and exciting. Don’t get me wrong, I enjoyed reading it and couldn’t find too much fault in it. Here and there a bit tell instead of show and a bit of an info dump, but not that much that it completely drowned out the story. There were a few inconsistencies and the semi-open end with explanation by the author I could have done without too. 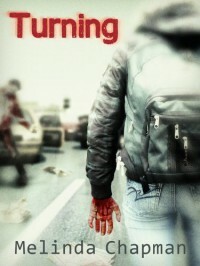 But, if you are looking for a quick and easy zombie read, and you’re not too demanding, this is the right choice.